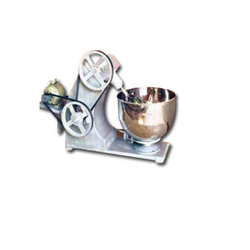 Considered amongst the remarkable business names, we are actively affianced in providing a supreme quality array of Domestic Atta Kneading Machine. 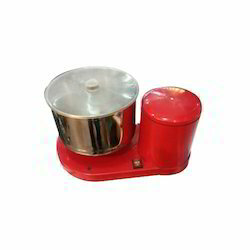 Domestic Atta Kneader is used for Kneading Flour upto 1 Kg or mix 3 ltrs only. It is provided with detachable drum. 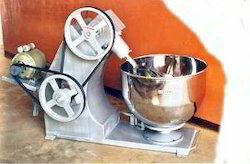 We are recognized as a successful name of Atta Kneading Machine Spiral Mixer in the market at the present scenario. It is a system used to enhance the quality of Atta released from industrial and commercial processes. Designed to handle high-volume loads, a kneading system consists of a blower, dust filter, a filter-cleaning system, and a dust receptacle or dust removal system. Leveraging on the sound manufacturing facility, we have been able to design and develop technically advanced and highly efficient Atta Kneading Machine. 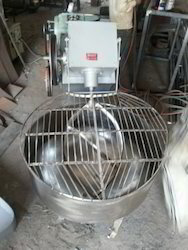 Manufactured using quality mild steel, the complete assembly consists of a high power motor and dough kneaders with break system, which maintain the speed of the vessel. Further, for soundless working, easy greasing and oiling of all parts, these are designed with two belts. Depending upon the specific requirements of the clients, the range is offered in different capacities viz. 5kg, 10 kg and 25 kg. 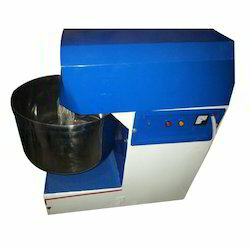 As an ace name of Atta Kneading Machine with Cover, we have marked our name very strongly in the market. This product from our side has got correct dimensions, multiple poles and accurate working speed. The system uses a specially developed separator for kneading processes, which reduces the effort involved in the production by up to a very high percentage. We always ensure the on-time delivery for all of our products. Looking for Atta Kneading Machine ?